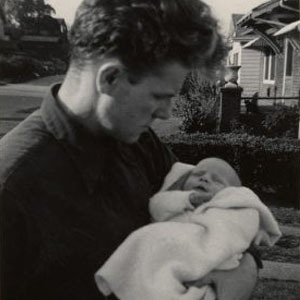 The earliest photograph I have seen of myself was taken when I was weeks old. My father is holding me almost effortlessly in one arm. He gazes into the face of this new baby, his third child, with what I take to be a kind of tender gravity. Or perhaps I simply wish it to be so, wish that his attitude at that moment might parallel what I feel now when I look at this picture of him. But whatever I wish, for all my invention, the picture keeps its secrets and, in the end, I can only gaze at it in wonder.